I have been a professional blogger since 2010 and have written so many blogs and worked as an author for some reputed blogs. So according to my experience, SEO is the most important thing to be done for the blogs by bloggers. When I was new in this field of blogging I faced many problems including High-quality content, fewer backlinks, Low DA, PA, and SEO. But when I searched for all that problems, I would find easy solutions for all the problems excepting Search engine optimization. Because for SEO all the webmasters and agencies were charging a high fee for their services, which was not affordable for me or for new bloggers at their initial stage. To check DA (Domain authority), PA (Page authority). Linkio is an exquisite SEO tool made to help you manage your link building campaigns simpler and smarter. Linkio’s AI uses predictive analytics to guide your anchor text strategy. With the algorithm’s help, you get fewer interruptions, happier, more productive employees and better results. It has the adored flexibility of a spreadsheet with sophistication that removes tedious reporting, human error, and slow decision-making. It’s easy to make Linkio your own: custom columns, campaign templates, link types, sources and more. Plus, if you’re worried about saying goodbye to your trusted spreadsheet, don’t be. Linkio integrates with Google Sheets so you can make useful and creative 2-way exports based on your team’s needs. 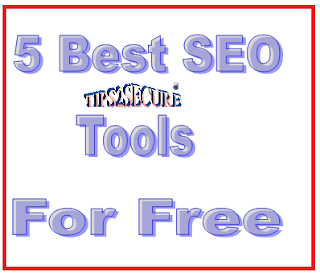 Moz is the #1 SEO tools provider for free and paid. But I always use their free services and benefited like a Pro member. Moz limits on usage if you use their services as a guest. Sign up as MOZ user and take extra benefits. Now let me discuss MOZ Search Engine Tools Optimization and Direct Links to use their services. Open link profiler analyses the freshest backlinks up to 200,000. This site is very useful for checking backlinks for different sites. But as a free member, you may check backlinks for 3 sites per 24 hours. Use this site to check dead and broken links from your site. As broken links on the blog may harm your visitors. Keyword Planner is used for building new search network campaigns. You can search for keyword and ad group ideas, and see how a list of keywords might perform, and even create a new keyword list by multiplying several lists of keywords together. A free AdWords tool, Keyword Planner can also help you choose competitive bids and budgets to use with your campaigns. Note: All the above given tools are fully trusted and personally used by me. Message: I hope that you have enjoyed '6 Best Search Engine Optimization Tools For Blog Owners' article. However, if you want me to deliver more articles then please share my post. You can use Social Sharing Widget provided at the end of every post. After all, Sharing is Caring!. This is a really informative knowledge, Thanks for posting this informative Information. 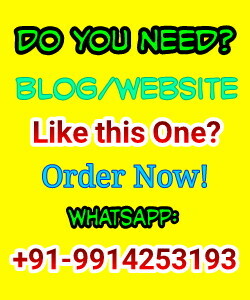 If any link is redirected to another website or shows error then it is found to be broken link. Broken link finder tool can be used to locate broken links on website to find the flaws and rectifying it by just simply entering the URL. Nice information. Already discussed about broken links and their solution. Here is theArticle on broken links guide.